Business data is exploding; every day, billions of files and emails are created, used and shared among employees at enterprises all over the world. The mobile and cloud revolutions enable people to use data anywhere, from any device – sharing it with others at the click of a button. Business moves faster, and data expands faster still – causing organizations to completely lose the ability to control, let alone protect, their data. Secure Islands frees businesses from the worry of looking after their sensitive files and emails by taking advantage of our advanced, active data immunization concept. 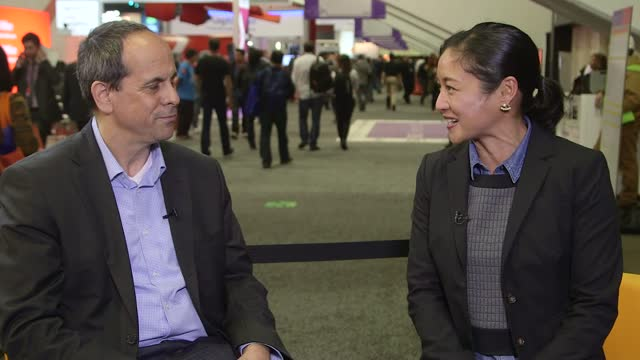 RSA 2016 - How Deadly will Cyber Warfare Become? BrightTALK got the chance to sit down with Secure Islands CEO & Co-Founder Aki Eldar to hear his thoughts on protecting the connected home, the future of cyber warfare and the 'bad guys' targeting financial institutions. Malicious attacks, rogue insiders or even careless employees, can expose your sensitive information and put your organization at risk. But now, a combined solution featuring advanced classification technology with Microsoft’s Azure RMS, can ensure the safety of your information from the moment it is created, and throughout its entire lifecycle. Organizations spend millions to protect data from outside threats, but are investing far less to protect themselves against attacked from inside. Security experts agree that there is currently no way of completely block hacks or prevent insiders from leaking information. But is the situation completely hopeless? This session will present a new paradigm for keeping sensitive data safe by classifying and protecting it at the source. How to enhance the performance of DLP? How to enable collaboration and BYOD in a secure manner? How can you track all organizational data and pinpoint risk? How can you make the threat of data theft and loss irrelevant? Join our session to learn the answer. Every day, billions of files and emails are created, used and shared between employees at enterprises all over the world. The mobile and cloud revolutions enable people to use data anywhere, from any device - causing organizations to completely lose the ability to control, let alone protect, their sensitive data. So they try to contain data, enclose it and block it – even at the risk of disrupting business workflows and collaboration with partners and customers. All only find out that it’s next to impossible to seal off every entry and exit point to the organization; that a breach can still happen at any given moment; and that insiders and privileged users can always by-pass security measures. But what if the problem of controlling sensitive organizational data, preventing it from leaking out becomes irrelevant? Data Immunization makes it so - by focusing on the data itself rather than the perimeter. Data Immunization means embedding classification, encryption and usage rights to files and emails from the moment of creation. The immunization is persistent throughout the entire lifecycle of the data. Even if the organization is breached, or if files find their way to the wrong hands - either by malice or mistake – the data is fully protected and rendered unusable to unauthorized users. This is how Data Immunization makes the problem of security breaches and data leakage completely irrelevant.